biofuelwatch | Orthios Group’s Holyhead Biomass Plans: A new threat to forests – or just a sci-fi idea? 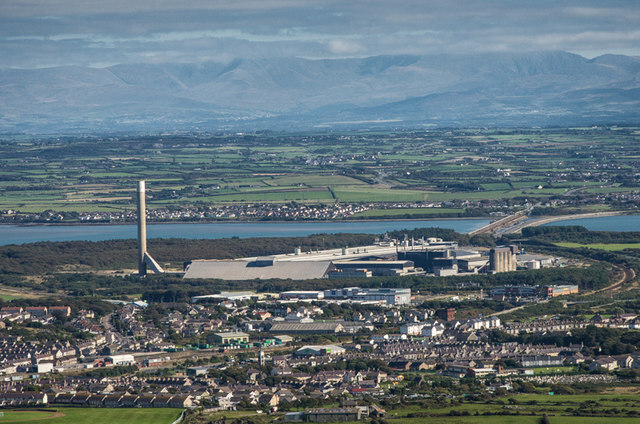 Orthios Group’s Holyhead Biomass Plans: A new threat to forests – or just a sci-fi idea? 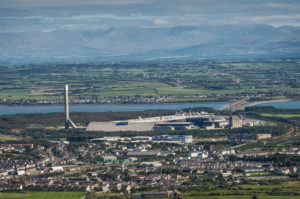 Orthios Group wants to build the world’s largest biomass gasification plant, and the largest on-land aquaculture facility at Holyhead Port. It also proposes soil-less indoor vegetable farming (hydroponics) and an ‘eco packaging’ plant pioneering a novel technology. Plans for generating energy from waste tyre and plastic, as well as from wind have also been mentioned by the company. Orthios plans to apply for a Contract for Difference in 2017. Contracts for Difference are long-term guarantees of high levels of subsidies for electricity that is classed as ‘low carbon’. Those subsidies are paid through a surcharge on everybody’s electricity bills. Without a Contract for Difference, Orthios could not finance the power station. If successful, the power plant would likely burn pellets and/or woodchips made from 3 million tonnes of wood every year. By comparison, the UK’s total wood production is only 10.8 million tonnes annually, and more wood than that is being burned in UK power stations already. Orthios would rely on imports, likely from North America. All three power station operators importing or planning to import pellets to the UK at present have supply agreements with Enviva, the largest US pellet producer. Many of those pellets are sourced from clearcut biodiverse coastal wetland forests in the southern US. This is disastrous for biodiversity and for the climate. However, there are serious doubts about the credibility of Orthios Group’s proposal. Technically, the proposal is highly challenging. So far, eleven biomass gasification plants have been built in the UK and have failed to operate successfully. There is no evidence of any successful biomass or waste gasification power plant in this country. There are a few such plants elsewhere in the world, but they have required long-term investments to fix problems, as well as collaborations between different companies and/or researchers with significant expertise in gasification. Nobody in the team has any such expertise, and there is no evidence that Orthios has partnered with any other company that has successfully delivered gasification projects. Orthios Group is a hardly transparent, complex set up of at least 28 companies, all of which have one and 27 of which have two directors in common. Orthios had been boosted by a partnership with an asset management company, and by a Chinese investment promise of £2 billion. However, the asset management company pulled out of Orthios Group in September 2016, and the Chinese investment deal has collapsed. Orthios Group claims to have found an alternative source of funding, but has not disclosed any details. Firm investment deals would usually require full planning consent, which Orthios has not so far got. If Orthios managed to get a Contract for Difference, it could well attract alternative finance. This would likely result in a large experimental power station with significant public health risks, but with a little chance of successful long-term operation.